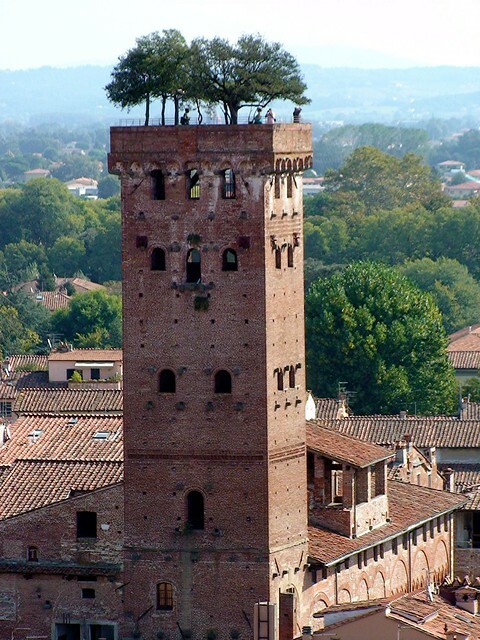 Seven full grown oaks trees atop the 14 story, about 44 metres high, Tower of Guinigis in Lucca, Italy are a strange sight and a great tourist attraction. The tower was built in mid fourteenth century by the Guinigis, a rich merchant family of the town. During this period it was traditional for every rich family to build a tower whose height represented the status of the family. The rich often competed to have the tallest tower. Most of the towers of that era have gone but this unique tower with seven Holm Oaks on top is still standing. 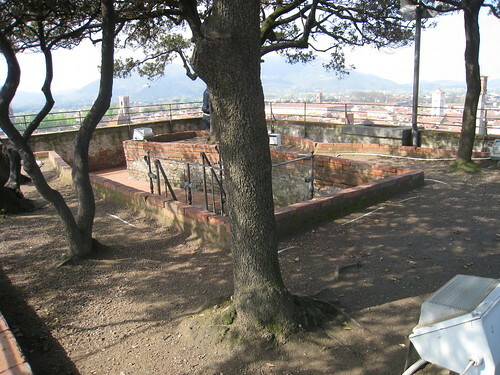 The Guinigi family planted these trees to represent rebirth and renewal. 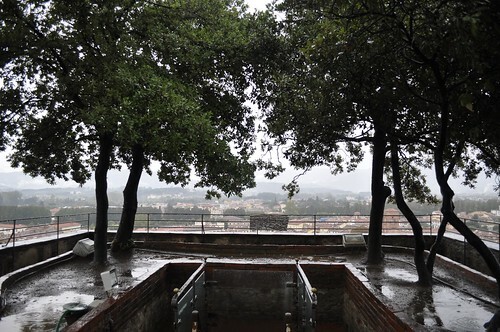 Top of the tower offers a fine panoramic view of the city and the nearby hills. Thanks for using my photo and your nice comments! I can't find any way to message you from Flickr, and you don't seem to have any publicly viewable photos yourself on your Flickr account. "Cardiff Boy 2"